The Irish experience during World War I (1914-1918) was complex, and the variety of Irish American themes in popular sheet music of the era reflects this complexity. These themes include romantic songs, songs honouring military units, patriotic songs, and songs reflecting Irish politics of the time. In 1917, Irish American George M. Cohan wrote the song that would make him an international name. “Over There” was written while Cohan was riding on a train to New York after hearing the news that America had entered the Great War. The song became a smash hit and quickly sold over a million copies. It became the rallying song for American troops and to this day is the one song most Americans associate with World War I. Twenty-five years later President Franklin D. Roosevelt would present to Cohan the Congressional Medal of Honour for the uplifting spirit it brought to American troops. “It’s a Long, Long Way to Tipperary” (also known as “It’s a Long Way to Tipperary”) actually predates World War I, although it became popular and associated with the war. Originally a British music hall song written by Jack Judge and co-credited to Harry Williams, journalist George Curnock reported that the Irish regiment of the Connaught Rangers sang the song as they marched through Boulogne on August 13, 1914. Other British army units picked up the song quickly thereafter. John McCormack, the famous tenor, recorded “It’s a Long, Long Way to Tipperary” in November 1914 which helped increase it’s popularity. With its soul-stirring lyrics of homesickness and desire, the viral hit of World War One came about as a result of a five-shilling wager after a late night drinking session – and went on to become one of the most popular marching songs by the troops on their way to the trenches. Oldbury, Birmingham, music-hall entertainer Jack Judge, whose father came from Co Mayo, and musician Harry Williams were behind the hit. 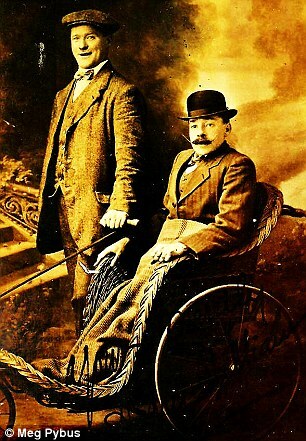 The duo had composed dozens of music hall songs together. Legend has it that on January 30, 1912, Jack retired to a nearby pub following a performance at Stalybridge in Cheshire. Someone challenged him that he could not write a new song and perform it on stage during the next performance. ‘It’s a Long Way to Tipperary’ was performed on the stage of The Grand Theatre on January 31, 1912, and Jack won the bet. The most credible version of the story is that Jack and Harry had written the song as a ballad in 1909 calling it, ‘It’s a Long way to Connemara’, and that Jack merely changed the name to produce the new song. The lyrics had been inspired by a snippet of conversation Jack overheard in which one man was telling another; “It’s a long way to…” someplace or other. Tipperary was given a marching beat and shot to fame after Irish troops from the Connaught Rangers were heard singing it as they marched to the French front. Its rousing strains echoed through the battlefronts during the war and was said to be the inspirer of victory. In November 1914 it was recorded by John McCormack and was later picked up and sung by French, Russian and German armies. Don’t lay the blame on me”. But my hear’s right there. A major political crisis over Home Rule or Irish self-government occurred just before the outbreak of the First World War. The Third Home Rule Act was signed into law in September in 1914, although operation of the Bill was suspended during the war. The start of the war in 1914 temporarily defused armed tensions between Unionists and Nationalists and a total of 206,000 Irish served in the British forces during the war. This Irish recruiting poster uses the German invasion of Belgium as a recruiting tool. still part of the United Kingdom, to defend Belgium, which was also a Catholic country. This all led to the creation of songs such as “Volunteer March – Song” and “When Germany Licks England Old Ireland Will be Free” by Charles A. Meyers in 1915, which was published in Kenosha, Wisconsin. Interestingly enough, Meyers also wrote “We’re Going to Show the Kaiser the Way to Cut Up Sauerkraut” later in 1918.